MAXIM’s Pinnacle series are lightweight 9.5mm ropes with our twill pattern sheath technology (TPT). This results in a smooth climbing rope, which significantly reduces drag and improves hand. The Pinnacle ropes have a feel to them that is like no other climbing rope on the planet! For Ice climbing MAXIM recommends 2x-DRY treated models. MAXIM’s Pinnacle is a lightweight 9.5mm rope designed to meet the needs of today’s sport climber. It is light enough for redpointing, but still has the legendary durability for which MAXIM is known. Pinnacle is also an option for the trad climber who wants to climb longer pitches without adding weight or sacrificing durability and abrasion resistance. All Pinnacle ropes have an Endura DRY-treated core. Some versions are 2x-DRY meaning that we coat the sheath as well. These models meet the UIAA Dry standard, making Pinnacle a good choice for a lightweight single ice rope as well. The sheath of the Pinnacle series features our Twill Pattern technology (TPT) which makes it super smooth for raps and minimizes drag on your pro. Our friend, Randy W from the Subaru Adventure Team, calls the Pinnacle Yellow Jacket the “buttery snake” due to its superior handling. 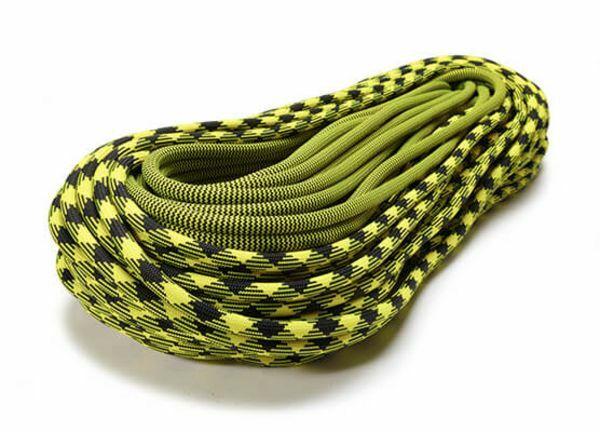 It is one of the best ropes available on the market today!